The headwaters of the Alviela River are located in the Serra de Aire and Candeeiros Natural Park in the municipality of Alcanena, in the parish of Louriceira. It flows into the Tagus River, near Figueira Valley, in the municipality of Santarém. Approximately 40 km in length, it is one of the most polluted rivers in the country. The pollution problem in the Alviela River began when the installation of electricity plants nearby led to an increase in tanneries in the area. Back in the 1950s, the tanning industries’ negative affected the river’s entire ecosystem and the source of livelihood of the residents of riverside villages, such as the mills, oil mills, fishing, and sand extraction. The Alviela River suffered, as 117 plants poured approximately 1.5 tons of sulfide and 3 tons of chromium salts into its riverbed daily. The increase in industrialization in the region, the shoe factories’ growing demand for leather, and the lack of treatment of industrial waste linked to it led to very high levels of pollution. This sparked a wave of national protests. 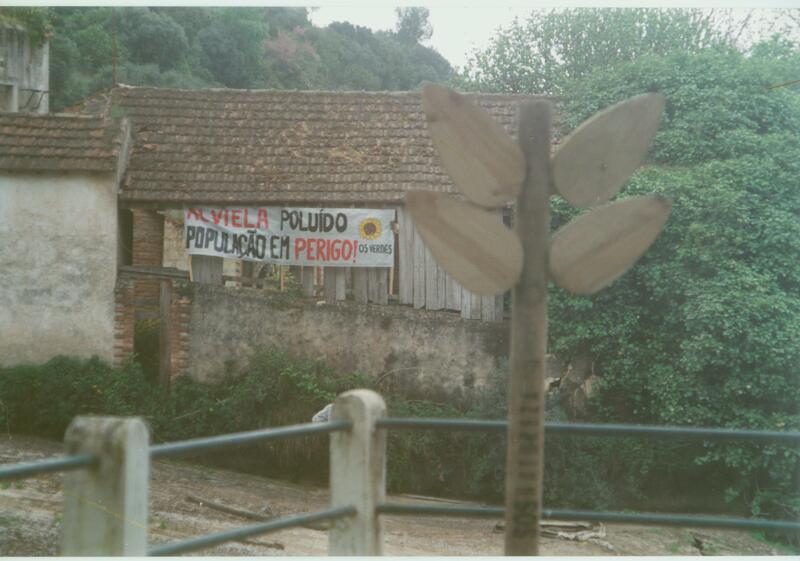 In 1974, the Comissão de Luta Anti-Poluição do Alviela (CLAPA, or Committee for the fight against the pollution of the Alviela River) was founded in Pernes, which demanded that a wastewater treatment plant be built in the region. 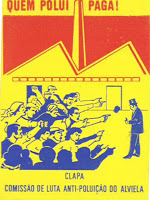 The project to build one in Alcanena, where the tanning industry was concentrated, was approved in 1979. The construction started, but then halted due to lack of funds. The treatment plant was finally inaugurated early 10 years later, in December 1988. However, as the pollution continued to increase during that period, by the time the plant opened, it did not have the capacity to treat all the wastewater. Maintenance problems in the water treatment plant have also emerged, as have new reports of fish dying and the contamination of the river. 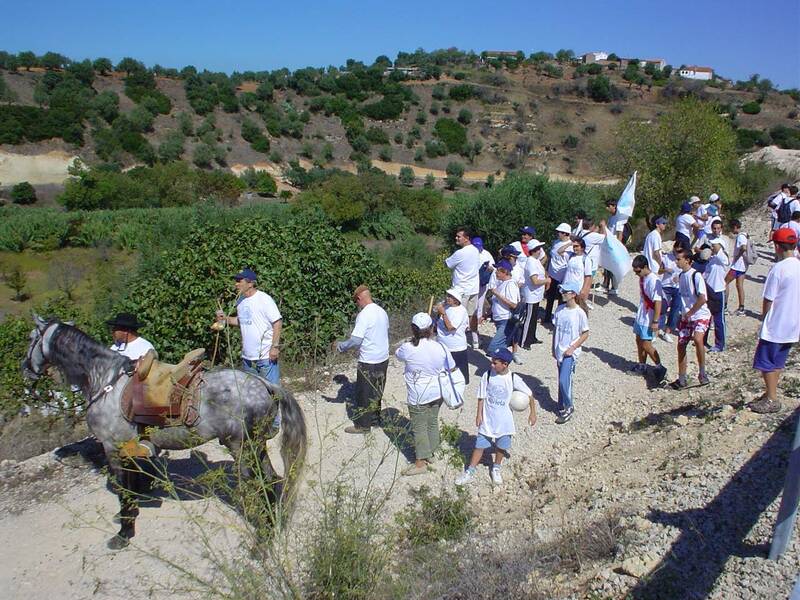 In May 2005, as an initiative of the CLAPA, hundreds of people marched from the parish of Pernes to the source of the river to protest against the pollution. The same year, Big Jump - an European initiative promoted by the Liga para a Protecção da Natureza (LPN, or the League for Nature Protection) - organized, together with citizens, exhibitions and workshops to alert the community on the problem of pollution in the Alviela River. In 2005, the Comissão de Defesa do Rio Alviela (Commission for the Defense of the Alviela River) was formed by 40 entities, including the municipalities of Santarém and Alcanena, riverside parishes, national assembly deputies, and NGOs, among others. Its mission was to elaborate a detailed survey of the river's environmental conditions and to lobby for funds, assessments and research to find solutions for the pollution and its impacts on coastal communities. In June 2006, a petition with over 10,000 signatures demanding the remediation of the Alviela River was submitted to the president of the Assembly of the Republic. In February 2008, the results of a study on how to restore the river's ecosystem were presented in Santarém. 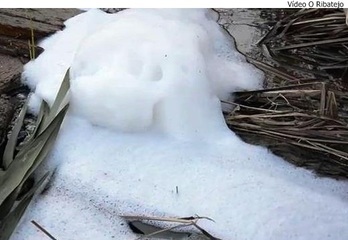 Prepared by a multidisciplinary team and carried out by the Waste and Environmental Promotion Department of the municipality of Santarém, the study pointed out that the source of pollution was the tanneries in Alcanena and the agriculture and cattle-raising activities in the municipality. In light of these results, the study proposed the implementation of an integrated treatment system to deal with the effluents of these industries through an association of all users and polluters of the river. 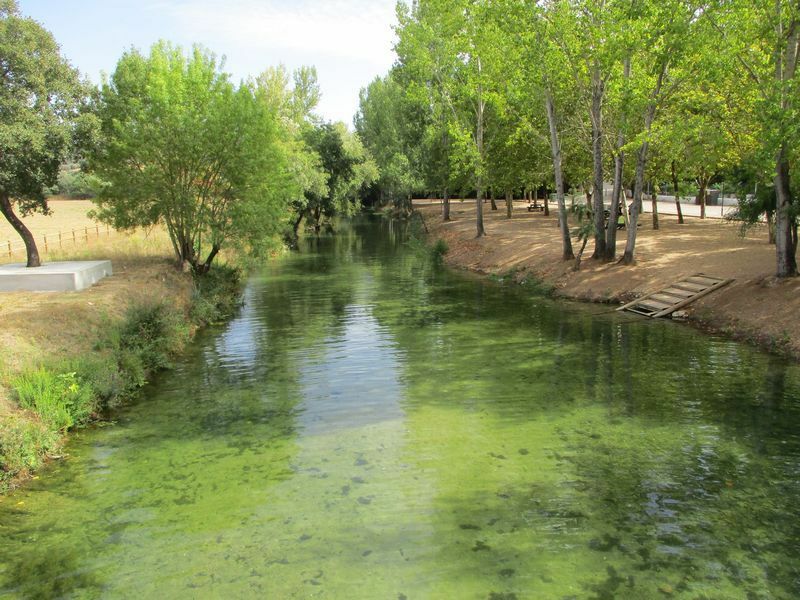 The following year, the Environment Ministry presented a proposal to the Alcanena city council and tanning industries on the construction of various wastewater treatment facilities based on the "polluter pays" principle as a solution to the Alviela River’s pollution problem. In 2009, in the parish of Vaqueiros, the SOS Alviela project was developed with the goal of saving native species in the river. Every September, this project organizing training sessions for the local population to identify the species and report signs of pollution in the Alviela River. Finally, on April 15, 2014, the Agência Portuguesa do Ambiente (APA, or the Portuguese Environmental Agency) signed a protocol with the Alcanena and Santarém municipal councils on the restoration of the Alcanena wastewater treatment system. After many years of struggle led by CLAPA, a system was built to treat the wastewater from the tanneries in the region. However, not all the sources of pollution were connected to the system. Since December 2017, the situation has gotten worse: murky, foamy water has appeared in the river, as well as dead fish from several species, which had returned to the river, bringing life back to the surrounding area. Project Details The tanning industry is responsible for the Alviela river damages (arround 70 different companies), but a study identified a number of other sources of pollution: cattle raising, poultry, pigs and other livestock farms. Relevant government actors Secretaria de Estado do Ambiente, municipalities: Alcanena, e Santarém, Junta de Freguesia de Vaqueiros, Instituto da Água-INAG, , Agência Portuguesa do Ambiente-APA, Ministério do Ambiente, Ordenamento do Território e Energia-MAOTE. Other Chromium is a highly toxic and eventually carcinogenic heavy metal widely used in the tanning of leather. Other Negative impacts on the river ecosystem, affecting the livelihood sources of the riverside villages, mills, oil mills, fishing and sand extraction. Development of Alternatives The Commission for Alviela River Protection has contributed to diagnosing and trying to solve the pollution problems and its impacts for coastal communities. Why? Explain briefly. Founded in 2005, the Comission for Alviela Protection was composed by 40 entities, however they haven’t managed to put an end to the pollution and environmental degradation of the river. FERNANDES, Rui. Ambiente e desenvolvimento. Da morte à ressureição de Alviela. V Congresso Português de Sociologia: Sociedades Contemporâneas, Reflexividade e Ação: Atelier Ambiente, p. 96-105, 2014. BENTO, Sofia; MEIRA, Teresa Bezerra; FERNANDES, Lucia de Oliveira; BRÁS, Oriana Rainho. 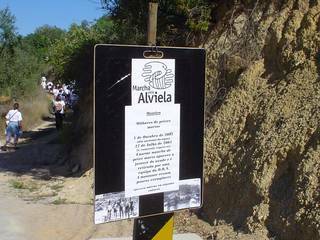 Half a Century of Public Participation to Stop Pollution in the Alviela River, from 1957 to Today. Arcadia, Summer 2017, n. 20. Arcadia Collection: Water Histories. 2017. AGÊNCIA LUSA. Populares alertam para poluição no rio Alviela. Diário Digital, Sociedade, 6 Mai. 2006. AGÊNCIA LUSA. Governo e câmaras assinam novo acordo para a despoluição do Alviela. Jornal Público, 16 de Abril de 2014. TINTA FRESCA. Estudo sobre rio Alviela responsabiliza Santarém e Alcanena pela poluição. Jornal de Arte, Cultura e Cidadania, 24 Fev. 2008. TOXIC BIOS. A guerrilla narrative project. Toxic Bios. 25 jan. 2018. Vídeo TV Ribatejo. Descargas poluentes de regresso ao rio Alviela. Comissão de Defesa do Rio Alviela Reunião de 17 de Março de 2006 Resumo Resumo da reunião realizada pela Comissão de Defesa do Rio Alviela no ano de 2006, ano seguinte ao da sua constituição, com o intuito de elaborar um levantamento minucioso do Rio Alviela, particularmente do problema da poluição e buscar soluções para este problema.